Cash Mobs: Can Social Media Save Small Business? Cash mobs began popping up at local businesses across the U.S. last fall, but 2012 will be the year they could gain steam. A social media-created movement, cash mobs were created to help small businesses in the struggling economy by organizing mass shopping sprees through the internet. Groups of people gather at the same location at the same time with 20 bucks in their pocket and the determination to buy something, usually increasing a store owner's profits for the day significantly. The trend comes as many local businesses blame the state of the economy for weak revenues. According to a survey from the National Federation of Independent Business, a small-business lobby group, one in four business owners said poor sales is their biggest problem, according to The Wall Street Journal. January is like the worst month for bars right now. ... The tavern is a dying breed right now, and that's only because of the recession, said Mike Southall, whose Wexler's Tavern in Cleveland was cash-mobbed on Dec. 29. The movement has sprung up in about 20 cities across the country, from Oakland, Calif., to Muskegon, Mich. Although it's hard to pinpoint the first cash mob, The Wall Street Journal credits Chris Smith, a 37-year-old engineer from Buffalo, N.Y., for thinking up the idea. He used Twitter and Facebook to bring together more than 100 people to City Wine Merchant on Aug. 5, tripling business at the winery for the day. A blog, CashMobs.Wordpress.com, credits Andrew Samtoy for conceiving the same idea independently from Smith. You can buy a six-pack at a convenience store for the same amount of money as a couple of beers at a bar. But a bar is a place where people meet and congregate and where ideas are shared. The face-to-face interaction is the most powerful thing that comes out of this, Samtoy told NBC Los Angeles in November. 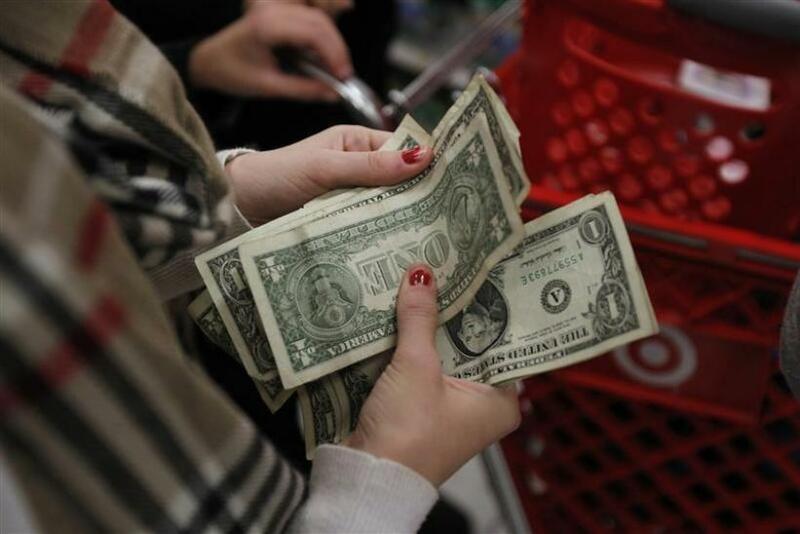 Most store owners say cash mobs help double or even triple their sales for the day. Southall said his tavern's profits increased by about 20 percent when he was cash mobbed by over 60 people last month. The bar was full, and then they started spending five bucks, then 10 bucks and some of them even spent more. The place was mobbed. [The cash mob] was over at 9 but most of them stayed until 11, he said. It appears that cash mobs help bring in business, but does it have enough momentum for long-term change? Some members of the Occupy Wall Street movement have embraced the idea, but the Cleveland group, led by Samtoy, explains on its blog it is not a political or social organization, a corporation, a movement, or meant to be an answer to economic crises. Laura Clawson of the Daily Kos hopes it changes direction. Citing the Wall Street Journal piece, Clawson predicts the trend has the potential to promote greater economic and social change if it does not limit itself. Doubling the sales of one store on one day isn't a recipe for social or economic change. But using the cash mob concept to start reshaping people's shopping habits in a visible way within a social contect that supports the change and gives it public meaning. At some point that does turn into change, in a move-your-money kind of way. Samtoy, however, believes cash mobs are a lot simpler than that. This isn't going to save any small businesses and it's not meant to, he said. We're just trying to get people to notice that these small businesses exist and to patronize them, he told NBC Los Angeles.